This year’s International Woman’s Day celebration we honored 4 distinguished members. 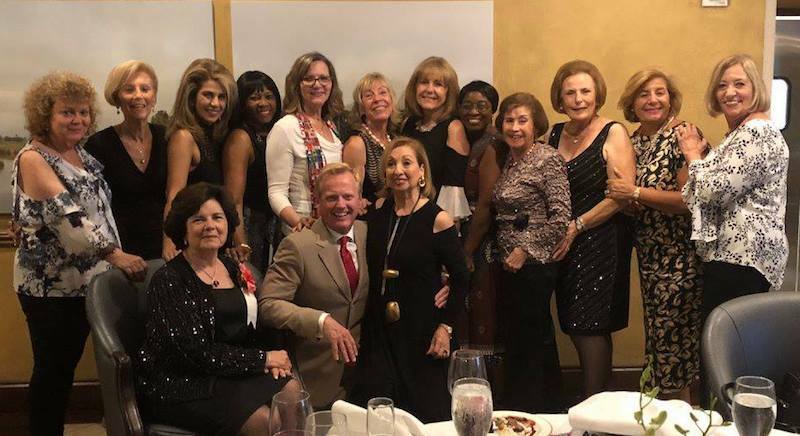 Chaired by Helena Caplan, the elegant Fort Lauderdale Country Club was the perfect place for our celebration. As guests arrived they were greeted by a glass of champagne, while engaging in lively conversations. A wonderful pianist added a special touch with lovely background music. Following the cocktail reception, everyone enjoyed the exquisite buffet dinner. 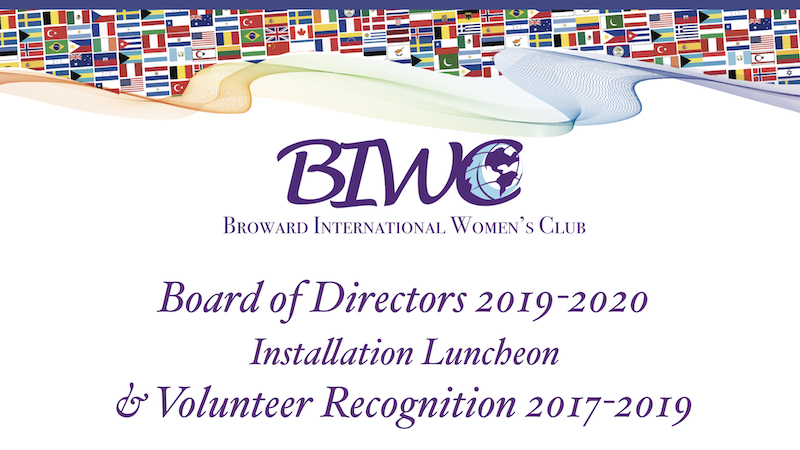 Every year the BIWC recognizes a few of their outstanding members at the Woman’s Day event and this year we honored Janet Brady, Nina Britton, Irene Schyberger, and Maggie Rogers. Janet Brady, from England, has been BIWC President for 3 separate terms. She is a very dear member, respected and admired for her dedication, talent and love for the organization. Always generous, always there to help. She brings 25 years of leadership and contributions to the BIWC. Nina Britton, from the US, has been a board member for about 10 years, as our Monthly Luncheons and Social Chair. Nina is always ready to help in every event in any way she can. She is one of the most loved and appreciated members of our organization. She has a very inspiring life story, from a career in education to the civil rights movement, she has been hands-on working on making a difference all her life. Irene Schyberger, from Sweden, is a BIWC past First Vice President and during her tenure, her creativity and work made a big impact on our fundraising results. Irene is the perfect representation of a successful, independent woman. She first came to the US brought by Ikea to open their first store in DC. From there on she continued her corporate career in New York until her early retirement. She is a very enthusiastic supporter of the arts and education in our community and a very energetic and positive human being. Irene is a true gem of a member. Maggie Rogers, from the US, joined BIWC when she first moved to Florida in 2015 with her husband, who had just taken a position as the new Provost at NSU. 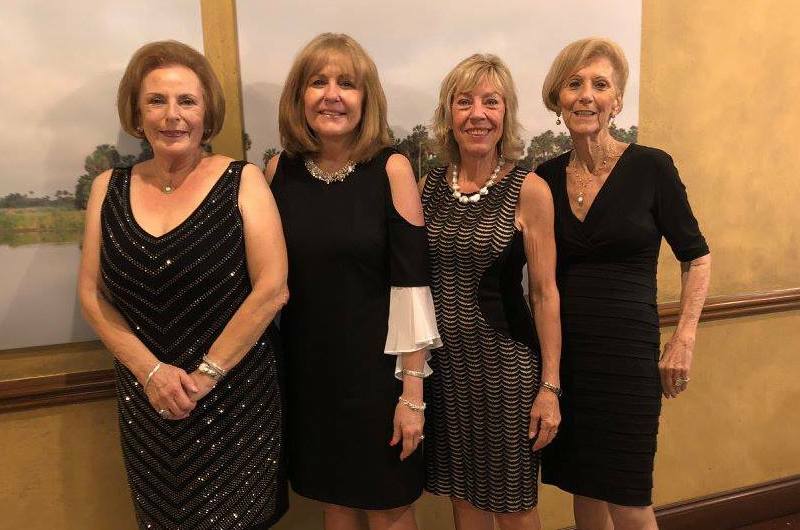 She immediately took on the responsibility of chairing the Night of All Nations, our yearly gala fundraiser, which turned out one of the most profitable and successful in years. She brought back the glam and the profits to NOAN, and accepted to chair the event the following year as well, with the same results. Congratulations to the 2018 honorees. You are a great representation of the diversity and high level of education and culture of our members, and we are proud to have you as our members. A heartfelt THANK YOU to our event chair, Helena Caplan, her committee, and our friend Willie Riddle for being our MC for the evening. Special mention: In loving memory of our dear member Joyce McDonald, who generously arranged for the venue. She became ill shortly after and passed away a few days after the event.